"I'm a reader whose going to be remodeling our kitchen in the near future, I'm a modern mom that loves glam, organic, and vintage. I've been researching this remodel for 2 yeas and decided on white shaker cabinet doors, modern brass hardware, dark oak floors, Cambria's White Cliff on the counters and slabs of Calcutta Gold on the back splashes. Do you have any pics of mixing the solid slabs back splashes with solid surface counter top? 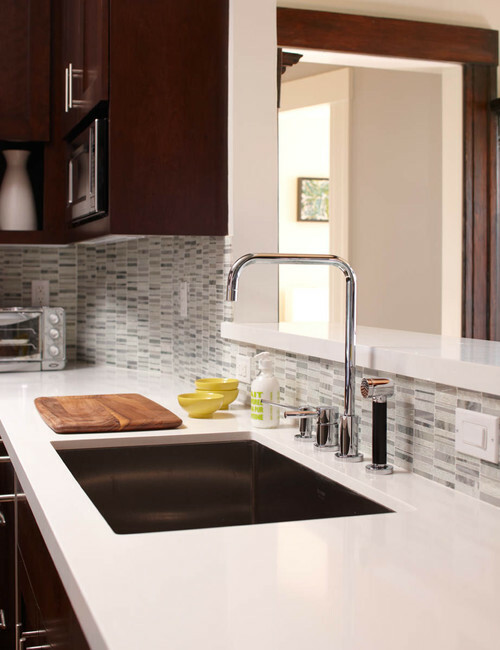 Or a more affordable way to achieve that look with a marble tile backsplash?" Yes Gabrielle, I have some great pictures. Some are quartz countertops with tile backsplashes and some are with slab backsplashes. 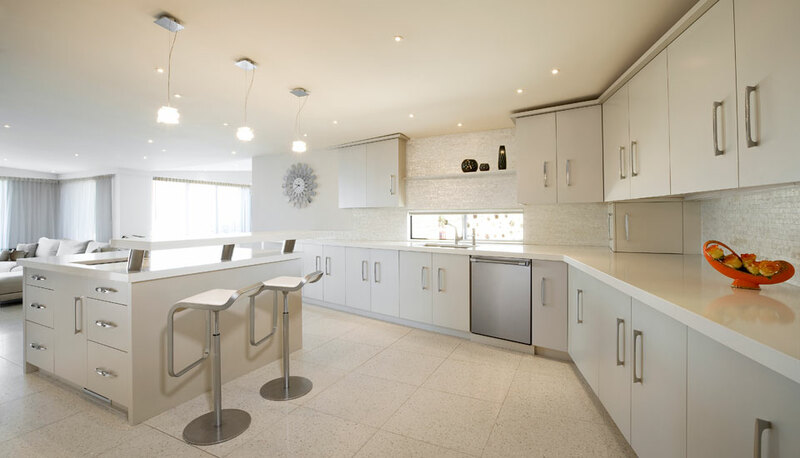 I think quartz countertops are such a great option if you want the white kitchen without the maintenance of marble. Put marble on the backsplash & you get a very similar look. Hopefully they give you and other readers some inspiration! This first kitchen is from CaesarStone's website. 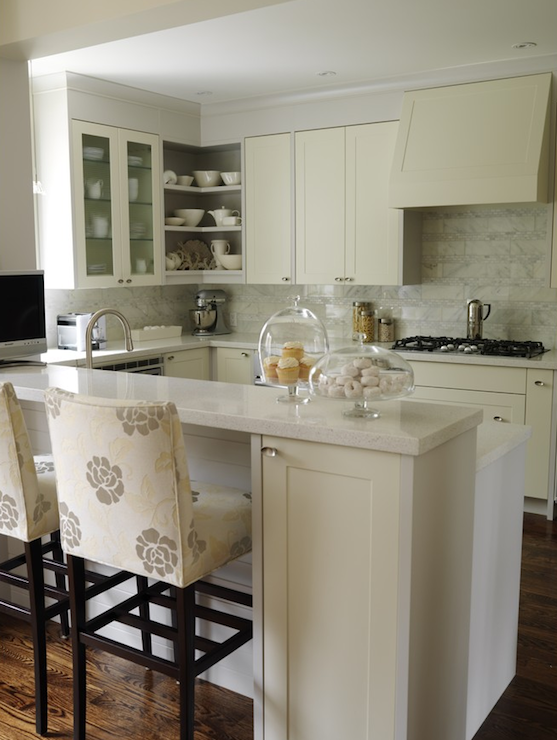 The countertops are Blizzard CaesarStone and the backsplash is a marble tile. The next picture is from Houzz, the tile is glass from Ann Sacks. 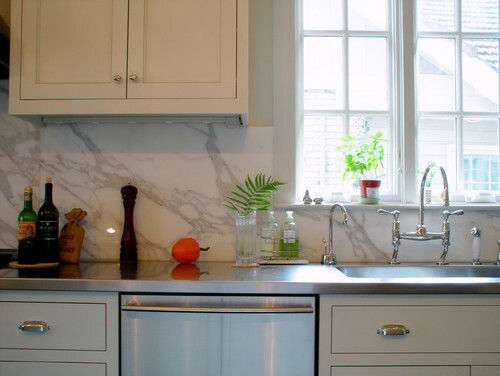 This kitchen has Calacatta Gold slab on the backsplash and they used Stainless Steel on the countertops. 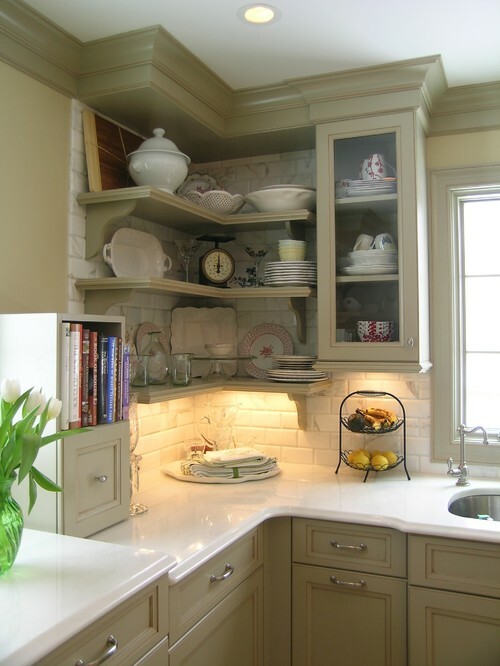 Calacatta Gold subway tile was used on the backsplash with white quartz countertops. CaesarStone quartz countertops with marble subway tile backsplash. Email me if you have a stone or design question that you'd like help with. These are some of the most beautiful kitchen countertops...thank you for these gorgeous pictures and wonderful inspirations.